Reach is one of those major concerns that affects everyone using social media. 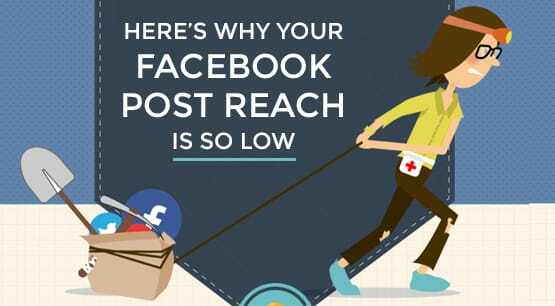 Reach is, quite literally, the number of people you reach with a post. On Facebook, specifically, there are three types of reach. Organic Reach. These are the people who see your posts based on you posting them. Whenever you post, a certain percentage of the people who follow you will see a story generated in their news feed. This also includes anyone who visits your page directly or sees your post embedded on a website. Viral Reach. These are the people who see your posts based on secondary engagement. For example, if one of your followers shares your post on their feed, everyone who sees the shared version is counted as viral reach. Viral reach is often rolled into Organic reach, as they are both forms of organic visibility. Paid Reach. These are the people who see your posts because you paid to put your post in front of them. When you boost a post or turn a post into an advertisement, anyone who sees the post and costs you money is part of your paid reach. When we talk about reach declining, we’re generally talking about organic reach. Paid reach declines when your costs go up and you pay less for the same exposure, but there are a lot of different actions you can take to mitigate that. However, paid reach is still important, because paid reach can lead to actions that increase future organic reach. Before I get into the specific reasons you might be suffering from a lack of reach, you need to understand two things. The first is the Facebook Algorithm, often called EdgeRank. The second is the reality of competition on Facebook. 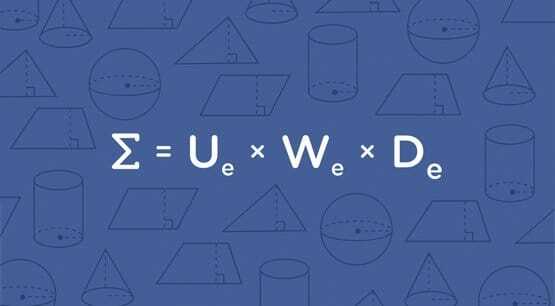 Years ago, Facebook’s algorithm was a simple machine known as EdgeRank. Over time, the algorithm has grown and evolved, to encompass more factors and to be more sophisticated. Despite this evolution, however, people still refer to it as EdgeRank. Whether you prefer EdgeRank or The Algorithm, the same factors still apply. The algorithm basically creates a ranking for each and every person on Facebook. Since there are over a billion people on the site, and the vast majority of them will never see or interact with your brand, most of those people have a score of zero. They have a zero percent chance of seeing your posts, but that’s fine, because they’re not in an audience that matters. Who cares if your local Kansas plumbing business is seen by people in Zimbabwe? Facebook simplifies things by only considering people who are within a degree or two of separation from your business. Your followers, their friends, their friends’ friends, and so on. The EdgeRank ranking is based on your relationship with the individual audience member and is calculated on a per-post basis. If the ranking is high enough, the user will see your post. If it’s not high enough, the post never appears in their feed, at least not directly. It can still appear based on paid or viral reach, but not pure organic reach. So what factors go into EdgeRank? There are three primary elements of the algorithm. Post weight. This is the simplest of the three. Certain types of posts get more weight and thus are more likely to be seen. Not many people like pure text updates, so they have the least weight. Link posts are better. Image posts are better than links. Video posts are better than images, and Live Videos are the best of all. Time since the post was made. A brand new post has the best chance of being circulated. As time goes on, posts are seen less and less. Engagement and updates to the post give it another breath of life, but eventually even an active post will fall out of the news feed. Affinity score with the user. When a user interacts with your account or your posts, their affinity goes up, and they’re more likely to see you posts. If they stop interacting with your posts, they’ll gradually see less and less of them. If they interact negatively, like reporting or hiding posts, it dramatically decreases affinity. Affinity is the most important modifier; the other two simply create a baseline from which to adjust. You can even test affinity yourself. Go to your own Facebook profile and look at the pages you’ve liked in the past. Find one you haven’t seen a post from in a while and click to view their profile. If they’ve posted recently, click through the link or like the post. You can bet that you’ll see posts from that brand in your news feed over the next few days. You can immediately see why engagement is so important; the more people you have interacting with your posts, the larger your reach is. The other factor that goes into reach, specifically as a way to explain why reach has been declining over the years, is the sheer competition. This was explained in detail in 2014. Essentially, more and more content is being created every day, as more and more people use Facebook. When you’re an individual user on Facebook, you might have 150-300 friends, all of whom may be posting anywhere from once a week to five times a day. You might follow a hundred pages, many of which are posting once a day at minimum. You might have half a dozen or more apps linked to Facebook, many of which are posting, not to mention all of the apps your friends are using that post for them. 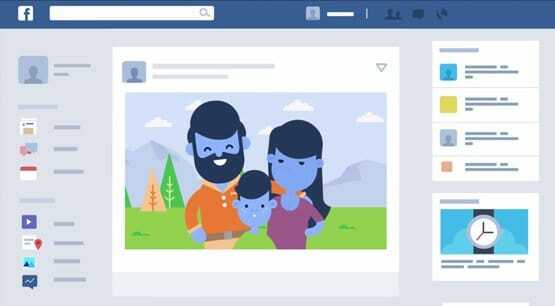 In that 2014 article, Facebook explains that the average user’s purely unfiltered feed could have anywhere from 1,500 to 15,000 posts in it per day. Meanwhile, the Facebook filtering algorithm wants to avoid an excessive crush of content. Just think about how hard it is to keep up with a Twitter feed when you follow 100 people, and how impossible it would be to keep up with 1,000 of them on a daily basis. Just reading updates would be a full-time job. 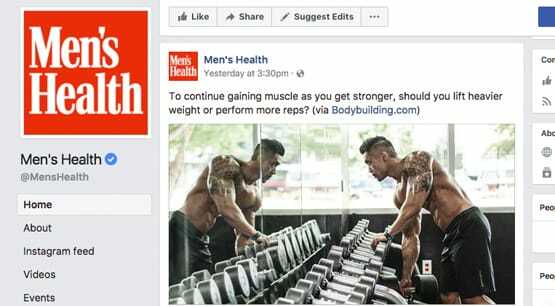 Facebook strives to show people a reasonable number of posts, enough to keep up with friends, family, and brands, but not so much as to drown out posts. They want you to be able to think “I saw an interesting post yesterday, I should scroll down to find it.” It might take a while to find, but it should be there. 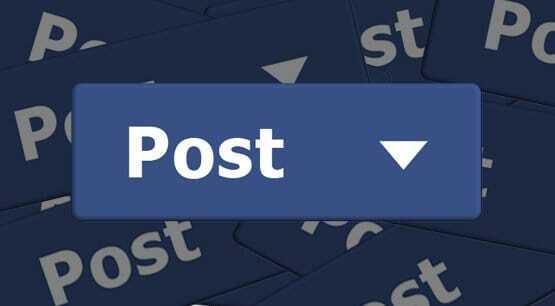 If you say 1,500 posts per day, or 10,000, or more, it would be impossible to go back to a post you saw once unless you commented on it or were tagged in it. The target number for Facebook is around 300 posts per day. So, as more and more content is being created every day, those 300 slots have more and more competition. It’s quite difficult for a brand to actually make it through that filter, at least without paying, so reach declines. Over time, only your most engaged users actually see your posts, while the least engaged stop seeing content. So now that you know how and why reach is decreasing, and what can affect it, let’s look at specific things you might be doing that can negatively impact your reach. Posting too frequently is probably the number one trap people fall into. When reach declines, you figure you can post more to reach more people. 2x 6% = 12%, right? Well, not exactly. Chances are, for both of those 6%s, a good chunk of those users are the same. You end up flooding the news feed with posts, and those people aren’t going to engage with every post you make. Thus, their average engagement with your brand goes down, their affinity drops, and they see your posts less often. You should post about once per day. Generally, you want to post when your users are actively using the platform. This is most relevant for time-sensitive sites like Twitter, but it’s impactful for Facebook as well. You don’t want your post to be lost because a user didn’t scroll down far enough, or because you posted after they left the site for the day. 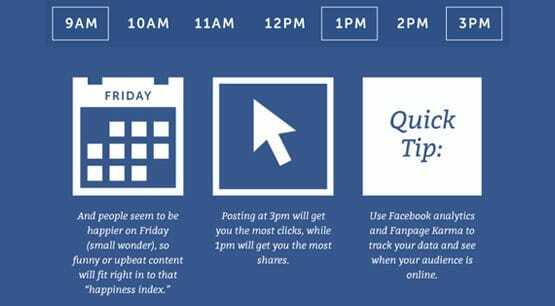 Studies – those linked above – indicate that the best time to post is between 1pm and 4pm in the primary time zone of your audience. A surprising number of brands simply don’t want to invest in media. I can understand it; creating images can be expensive, not to mention making video or setting up a livestream. You can’t just steal content from Google, either. Rather than look amateur, brands tend to post text and links. Media has a high weight in EdgeRank, though, so it’s generally beneficial to use it whenever you can. This one is a subjective measurement, but you really need to tailor your content to your audience. If your audience doesn’t find your content interesting, they aren’t going to engage with it. No engagement means no affinity means no reach. Come up with compelling, interesting content that gets people liking, sharing, or talking about it. You’d be surprised how well asking for engagement works. You can just come out and ask people to like and share a post, but you can also be more subtle about it. Just post images, links, or videos that ask questions. “What’s your Zodiac sign?” “Like this image if you’re a fan of the Broncos!” “What would you caption this image?” These kinds of descriptions are short, sweet, and get people interacting with the post. You didn’t even have to ask them to like; they will anyways. This is a sub-set of “you’re not being interesting.” When your posts are primarily pushing your products, a lot of users simply won’t care about them. They’re like commercials in between the main chunks of TV show the user is there to watch. In general, your content should primarily be composed of value to your users. Give them tips and tricks, play with them, get them engaging with your posts and each other. Save the sales posts for rare occasions, or better yet, leave them for your landing page and your newsletter. This is one of those mistakes that can come back to haunt you years later. Buying too many fake followers, particularly if you’re buying them from clickfarms or bot networks, will definitely boost the number of accounts that follow you. However, since none of those accounts will ever bother liking, commenting, or sharing your posts, they don’t benefit you at all. All they do is decrease the average number of followers that see your posts, thus decreasing your reach. 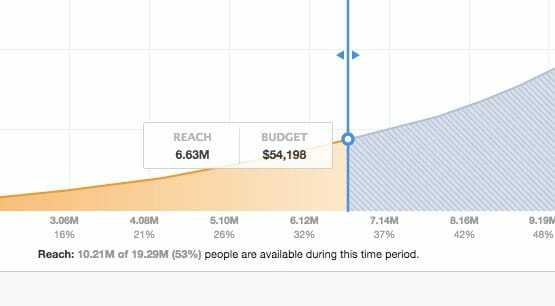 Like it or not, one of the best ways to increase your reach on Facebook is to pay for advertising. You don’t need to pay a lot; just make a targeted audience, perhaps even a lookalike audience that shares characteristics with your current followers. That audience will be relatively cheap, though not as cheap as an un-targeted audience. Don’t use conversions, just use the followers objective, and you can get a lot of new engaged followers for a low price. Then your organic feed can keep them interested. You can also retarget your existing audience, as Jon Loomer loves to do, with engagement-focused ads to boost their affinity and get them interacting with your brand again. If you’re posting too much, if the content you post looks like spam, or if a user just doesn’t like you, they might report you or hide your content. This instantly tanks their affinity, which costs a bit of reach from that user, but it can have worse repercussions if it happens a lot. Too many people reporting your account can hurt your overall reach for all users, or even get your account suspended. You definitely don’t want that.